Big data analytics refers to the strategy of examining large volumes of data or big data. Big data Analysis is a set of techniques and technologies that need new forms of integration to reveal large hidden values from large datasets that are complex, diverse, and of a monolithic scale. This big data is accumulated from a wide variety of sources, including social networks, digital images, videos, sensors, and sales transaction records. The analytical findings can contribute to new revenue opportunities, more effective marketing, better customer service, improved operational efficiency, gain an edge over rivals organizations and other superior business decisions. The volume of generated data is crucial in this context. The quantity of the data determines the potential and value of the data under consideration, in deciding whether the data can actually be considered big data or not. The name ‘big data’ itself holds a term related to volume, and hence the characteristic. Management of data can be very complex, particularly when large volumes of data come from multiple sources. Data must be associated and correlated so users can grasp the information the data is supposed to bring. The type of data content, and a crucial fact that data analysts must know. This assists people who are linked with and analyze the data to efficaciously use the data to their advantage and therefore uphold its importance. The speed at which the data is generated and processed to conform to the demands and the challenges that rest in the path of development and growth. In this context, the inconsistency the data can show now and then – which can hinder the process of dealing and managing the data efficaciously. Here, the quality of captured data, which can deviate greatly. Accurate analysis depends on the accuracy of source data. Sophisticated software applications are exploited for big data analytics, but the unstructured data applied in big data analytics may not be well befitted to conventional data warehouses. Big data’s high processing requirements may also make conventional data warehousing a poor fit. 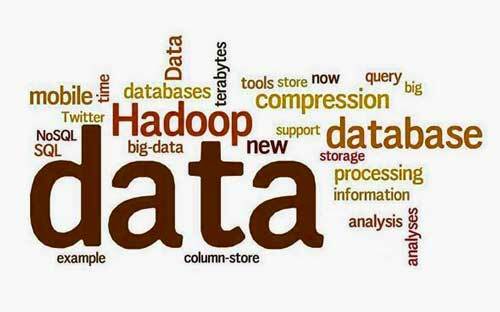 As a result, advanced, big data analytics technologies and environments have emerged, including MapReduce, Hadoop, Cognos and NoSQL databases. These technologies constitute an open-source software framework that’s used to treat huge data sets over clustered systems.